Previously in this series, you’ve learned the role of each hand in the release of the golf club. You’ve been ingraining the movements and feelings you need to achieve the optimal impact position for great ball striking, generating incredible club head speed seemingly effortlessly, and all this while naturally squaring the club face through impact. Now that we’ve trained the release of each hand and arm separately, it’s time to start bringing it all together, fine-tuning the movements and learning how to use the arms and hands as one unit for a truly great golf swing. As always, apologies to the lefties out there, but for simplicity this article will describe movements for the right-handed golfer. This is the seventh, and penultimate, drill in a series that breaks down and isolates the movements in the proper release of the golf club. If you haven’t yet become proficient with the movements in the previous drills in this series, it is very important that you spend some time working on them before attempting this drill. It’s natural to want to progress through the drills as quickly as possible, but if you haven’t first started to ingrain the basic movement patterns, then your impatience will hinder the improvements to your golf swing. 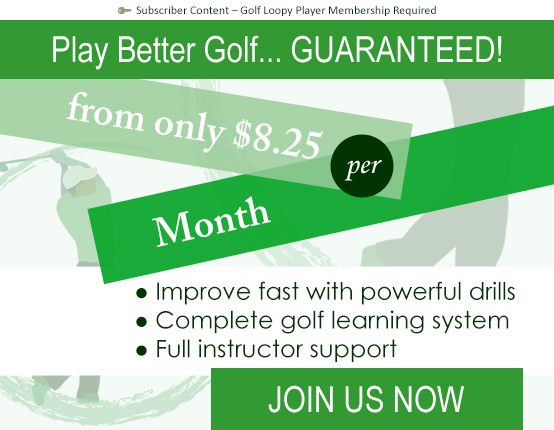 For more information on how this learning process works, see How to Learn a Great Golf Swing. 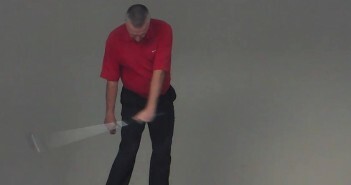 For a better understanding of what this drill is trying to achieve, and why these movements work, please see Golf Swing 504 – Downswing: How to Release the Golf Club, Golf Lag and the Compound Pendulum, and The Role of the Right Arm in the Golf Downswing. 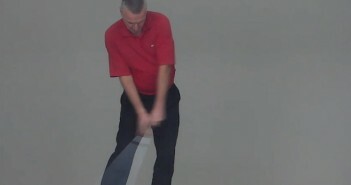 Although we’re now getting close to a real golf swing, it is important to remember that this is a drill, we’re still isolating and exaggerating certain movements – the real golf swing will be different since it incorporates a number of other movements, but the feelings and movement patterns that you are ingraining here will quickly improve your golf swing. …through impact as it passes your hands. Next up: we’ll complete the release drill series by learning one of the hallmark moves of a great golf swing, how to extend through impact, in Golf Swing Drill 504h – Downswing: Full Body Release and Extension Through Impact.